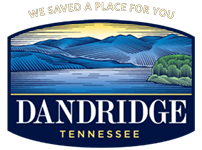 Dandridge is partnering with Appalachian Electric Cooperative (AEC), Town of White Pine, and Jefferson City to conduct a Broadband Feasibility Study. Dandridge is making an effort to determine the need for improved broadband services. Your participation is vital to assist the Dandridge Board of Mayor and Alderman in making a decision concerning this project. Two Broadband Surveys have been included in your utility bill mailing for your participation. If you are a resident, please complete the Resident Survey. If you are a business, please complete the Business Survey. Please Return your survey with your utility payment or drop off at Dandridge Water Management Facility. Please return your survey no later than Tuesday, December 15th. For more information or to complete the survey online, you can visit AEC’s website at www.aecoop.org. Your opinion is valued and your participation is appreciated.